We are considering removal of a 6M wide and 140M long portion of Kirkstone Park. 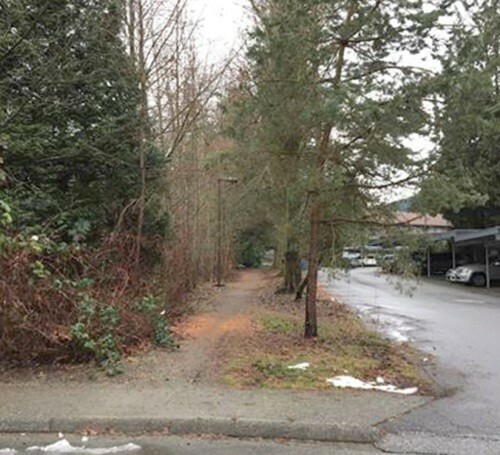 This strip of park is on the north eastern side, and is currently an unpaved pathway adjacent to a paved road, and leads from Emery Place into the park. This step is required to accommodate repositioning of the pathway to the south and creation of a new local access road. Land will be added to the park in two other spots. We are hosting a public meeting for residents. If you have questions about the impacts to the park, please join us. District staff will be on hand to answer your questions and take your comments. The deadline for a resident to submit an elector response form indicating they did not wish the piece of land to be removed from park dedication was 4pm on Monday, March 12. As part of the Alternate Approval Process, we made elector response forms and details of the proposed change available online. Residents were invited to complete and submit a response form if they did not wish this piece of land to be removed from park dedication. 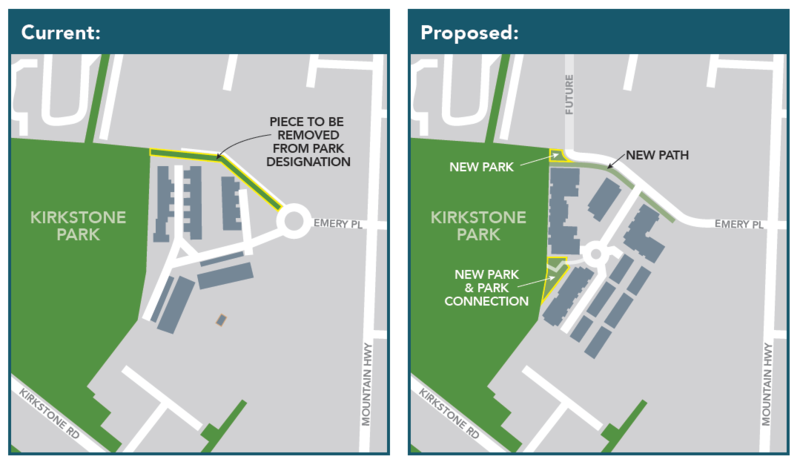 Council passed a motion to use an Alternate Approval Process to remove a sliver of Kirkstone Park from park dedication. These illustrations show the area as it currently is, and the change that is being proposed. The changes are all part of a proposed redevelopment of Emery Village (1200 Emery Place), which would be part of the new Lynn Valley Town Centre. Final reading of the park dedication removal bylaw is subject to an ongoing rezoning process for this proposed development. The rezoning application review process includes a Public Hearing so that people with an interest in the redevelopment of 1200 Emery Place can speak directly to Council. We used the Alternate Approval Process to seek approval for this change. This process is rarely used and only when timing is critical and there is an appreciable benefit to the community at stake. As part of this process, Council were able to vote to remove the piece of land from park dedication, unless at least 10% of District electors signed and submited elector response forms by the March 12, 2018 deadline.